Up, Up and Away !!!!!!!!! Today I mostly have been packing. I try to take as few things as possible but when you are going somewhere for 3 weeks you have to take enough. Plus, I need short and long sleeved items because the weather is changeable at this time of year. Then there are the things I can't pack until the last minute. Beam me over Scotty !!! If anyone should want to contact me please either private message me on facebook or email me at cosmicsupersue@yahoo.co.uk I will then give you my mobile phone number. I am asking people not to phone on Donna's house phone as she now works nights and switches the phone off during the day so she won't be disturbed when she is sleeping. She occasionally forgets to switch it off so I wouldn't want her woken up when it is for me. I have been busy making sure I have done as much possible around here to make life easier for Philip while I am away. We have our dear friend, Gary, coming twice a week to help him give Bubba his fluids. My flight is due to leave at 6pm (our time) which means I arrive 2am Sunday (our time) or 8am English time. This effectively means I have a night without any sleep as I cannot sleep sitting up on a plane. I wish I could afford to fly first class and have a little bed. I hope jet lag doesn't last too long. It is a horrid feeling and I get so confused. Ok, so I am always confused but this is worse. Looking forward to.......... having lunch in a pub every Sunday, oh and going on the little buses into town. I love those little buses. I am hoping to be able to blog a few times while I am there. I won't forget my 'idiot magnet' so I should have a few tales to tell. Well...I never thought we would see the day that this lot were all snuggled together. Lily, white one at the back, has retaken her "Queen Bee" status and the other girls have settled on being equals. Bubba, wrapped in the blackie at the other end, is still Alpha Male. He is also "Only Male" too, which does help quite a bit. We went shopping at the weekend. I bought some new bloomers and socks for my England trip. The only time I ever buy new undies is my annual pilgrimage to Ashford. That mission successfully accomplished, we decided on coffee in Starbucks. They have just brought back their Fall (Autumn) special, Pumpkin Spice Latte, and it is delish. When you give your order they ask for your name and then write it on the cup. I suppose it is just so they know who's each coffee is. When Philip went to collect his I noticed him keep looking at the cup with a puzzled expression, and then glancing at me. He brought his coffee back to the table and with disgust said, "Look at how they spelt my name". Oh dear, it was hilarious. Needless to say I was all over that and called him Philph or Filth all day. I am getting quite excited about my upcoming trip to England now. I was chatting with a friend on facebook today, mostly about Pot Noodles (like you do) and the complete absence of the little buggers over here. I have a small stash of Spicy Curry ones at the moment. Lauren brought them with her. I shall replenish said stash when I visit Asda. My friend then sent me this picture. I feel it might have been too much for me and my excitement runneth over. Not that I would ever allow a Pot Noodle (Oh mighty icon of deliciousness) to runneth over. Sacrilege at its worse. Anyway, I remember buying these the year before last and bringing them back. I also remember searching, mournfully for them last year. A fruitless (and potless) search indeed. Alas, they were not to be found. On seeing this delightful representation above, I rashly assumed that they had returned in all their glory. I fear I may have been too hasty. I cannot find anything current on this delicacy. This maybe an old picture. I shall search for them again this trip. 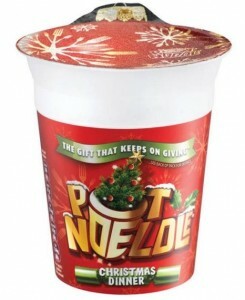 If there are any sightings of Christmas Dinner Pot Noodle I would really appreciate it if you could let me know their whereabouts. I have also started my "Shopping in real shops" list. The 'must have' items include. Selection boxes & other British Christmas goodies. There are a few more. Weight is always a problem. Not mine....lol....I don't mean I eat so many pot noodles I weigh half a ton on the way back. I mean the suitcase. You can only take one case now, unless you want to pay a fortune to take a second one. The weight of it is limited. I have left half my clothes behind before just to fit more British goodies in. Funny the things you miss when you can't get them. Here is Bubba enjoying the sunshine and watching the birdies, the squirrels and the chipmunks, all of whom he would enjoy making a meal of. We have screens on the window so the critters are safe. Above him is a recent painting, "wot I done" and I have only just realised that it looks so very much like the first cat we ever had, Golly. One of Donna's cats died just a couple of months back. He was only three. They were devastated. I had already painted a portrait of him and sent it back with Lauren. But, there was a lovely photo of him in their Christmas Tree. I fancied doing something more impressionistic. So I just had some fun with it. I can't bring it with me to give her as it is in a heavy frame so I guess Tommy Boy will be living here with us. I put him on our wall too. I rather like him there. Strange how I just can't bring myself to do one of Lollipop. The one on the far right is a picture I did of our 4 cats, before Tootsie came along. Lollipop is in that one. I suppose in time I will do one of her on her own. In two weeks time I should be in jolly old England. I am quickly booking up weekends and so looking forward to a couple of pub Sunday lunches. Oh I wish we could get them here. No one does a roast dinner over here. I have never, ever seen or heard of a "roast potato" here. It is just so lovely to go out for dinner on a Sunday. It will be fab. I shall look for a ploughman's or three while I am over too. Philip wasn't on support this weekend. The first one in ages, or so it seems, so we had a bit of a bimble to Cedarburg on Sunday. It is a lovely little town. Old shops, a winery and a converted mill. We didn't buy anything exciting, well apart from an advent calendar in the Christmas shop, but it was lovely just to be out and about. We had breakfast there too but that hadn't improved much from the last time we went. Next time we will try somewhere else. I can't complain about it if I keep going back. Sorry Alan.....I have sold one of the paintings you like so much. If I am honest, I like this one a lot too. I was planning on keeping it, then the vet's assistant who so kindly brought meds to our house, saw it on the wall and fell for it. She wanted it for her boyfriend who is fond of wolves. This was back in May and I had said I would keep it for her while she got the money together. It didn't bother me if she didn't buy it as I was happy with it on my wall. 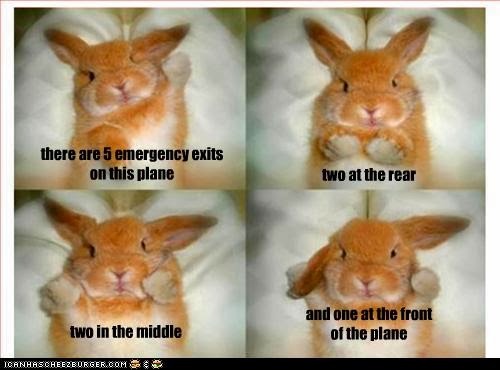 Then I had another enquiry. So, I had to ask her if she was serious about it. She said she really wanted it but didn't know when she would have the money. I told her about this other person wanting it and she was fine with me selling it. I felt bad having to ask her but she sounded a little relieved. Maybe she was worrying about keeping me hanging on. I have promised to do her another if she gets the money together and gives me enough notice. I have already offered her a hefty discount. This painting......Shadow Wolf.......is going to a couple who are opening a restaurant. How brill is that? They also wanted my business cards to display with it. I love that it is not just going into someone's home but will be seen by lots of people. Well, hopefully lots of people - for them and for me. They asked me for the price for a large portrait of their two Weimaraner dogs. A little while ago I was asked if I would donate a gift voucher for a pet portrait for an auction run by a Basset Hound rescue. I explained that I was happy to donate but that I would not be able to start it until late October. Apparently this is fine. They too took some of my business cards. I am looking forward to doing a Basset. I have loved them since I saw Columbo's Basset in the TV series. They have such fabulous faces. The only things that really sell, to be honest, are portraits of people's pets. Things have settled down in the 'lug hole' department. Some of Lauren's teachers have apologised to her for what happened. She is taking guitar lessons. My mate, Fred, who used to be head of music in Chritchurch has offered to come shopping with us when I am over.....for a guitar for her. He is such a good mate. We still phone each other every Friday, after all these years. He actually makes Spanish guitars himself, beautiful things, but much too expensive for us. She just needs an acoustic guitar. Not expensive, in case she gives it up, but good enough to be easy to play. He insisted he help us out as we would probably come back with entirely the wrong thing. It is a good idea as I have no idea about guitars. He lives in Folkestone and I always see him a few times when I am over. Even last year, when I was poorly, he still insisted on picking me up in Ashford and taking me for coffee. Some friends you keep for ever. I have been fortunate with friendships, well mostly anyways. Some I have lost contact with, but I think you can't help losing some. For those of you who are still my mates........ta ever so. It is of Lauren after she had her ears pierced here in Milwaukee. Notice the size of the earrings? Hard to see really. Well, on her first day back at school she was told to take them out. She explained that she couldn't take them out as they hadn't healed yet. It would be too painful to take them out, they could become infected and the holes would close. Her head of year told her to bring in a note to this effect, the next day. The head teacher then told her to take them out. She was then promptly put into isolation (away from the rest of the school) and made to stay there until she took her earrings out. Very upset, she managed to get one out but the other would not budge. She was kept isolated for the whole day. Meanwhile, other kids - over 60 of them - were sent home for wearing the regulation black trousers but not having the school logo on them. Does this sound ridiculous yet? By the time Lauren got home she was so upset, she was hysterical. The 'red mist' then descended over Donna's eyes and she rang the school. She tells me at times she was so angry she couldn't speak. Later, she felt sorry for the poor secretary at the other end of the phone, but no one phoned her back as promised. She then phoned me at work, still livid, and then I got equally livid. It is at times like this that I just wish I had a transporter to beam me over. I worked for many years in a high school. There was a strictly adhered to uniform policy but it was sensible. As long as you had the correct colour trousers/skirt/ shirt etc then it was acceptable. You could buy the clothes anywhere you chose, not from one or two selected outlets that charge more than double for clothes that are quickly grown out of. This morning Donna, having calmed down, took Lauren into school and explained personally why these earrings needed a few more weeks before they can be removed. She even offered to put plasters over them while Lauren was in school. The head teacher sent a minion to tell them that there was no choice - the earrings come out or Lauren is not allowed in. Bearing in mind Lauren has just entered year 10 which starts the two most important years of her education, and the fact that she is probably one of the most pleasant and brightest pupils they have, this is incredible. When I spoke to Donna she was just so down and fed up with the whole thing. They had thought that maybe she could take them out when she gets to school every morning and then put them back at the end of the day. But, they tried getting them out and putting them in again and it was just too painful for Lauren, who once again finished up in floods of tears. Lordy, lordy how I would have liked to tell that head teacher her fortune. Now this is when something weird happened. I had to go to the dentist this morning. On my way out with the assistant she asked me how Lauren was (she met her when she was here) and how she was enjoying being back at school. I swear I would not have mentioned anything if she had not asked me this. I told her of the earring episode. She then told me about tiny, little plastic tubes that you can put in ear piercings to keep them open. They don't show and they are not jewellery. I could not get home fast enough. I phoned Donna and told her. Her time it was about 6.30pm ish. So, I got on to the interwebs. I found a tattoo / piercing place in Beaver Rd, not far from her and it was open until 10pm. I told Donna the phone number and suggested she give them a call and ask about the little plastic tubes and if they had any. She phoned back, sounding so different. Not only did they have the things, but the guy was going to see Lauren right away to sort it out for her, which he did at no charge. He said he had been inundated with kids needing them. Lauren is back at school tomorrow. I could kiss the dentist's assistant for asking after Lauren. You may have seen her school on the news and in the papers. The North School Ashford, which has seriously gone down in our estimation. I used to know people who worked there but I don't know anyone there now or I would be finding out more from an 'insider'. I am just happy that Donna and Lauren sound so much better. Hard to hear them sound so depressed over something so stupid and I am a bit chuffed I could help from way over here.